The problem here, I think, is that I responded to what I thought they meant religious to be by their being “not religious” and they heard my response as what they thought I should mean by religious. In other words, what it is about religion that makes them want to be “not religious” is the very thing that I, as a minister, should be and it’s the very thing they don’t want so could I do something different please, but it’s okay if you talk about God. Whew! Confused? Okay, let’s unpack that a bit. I think it’s all about what we mean by religion and being religious. I’m pretty sure we all have an opinion on that and here’s mine. 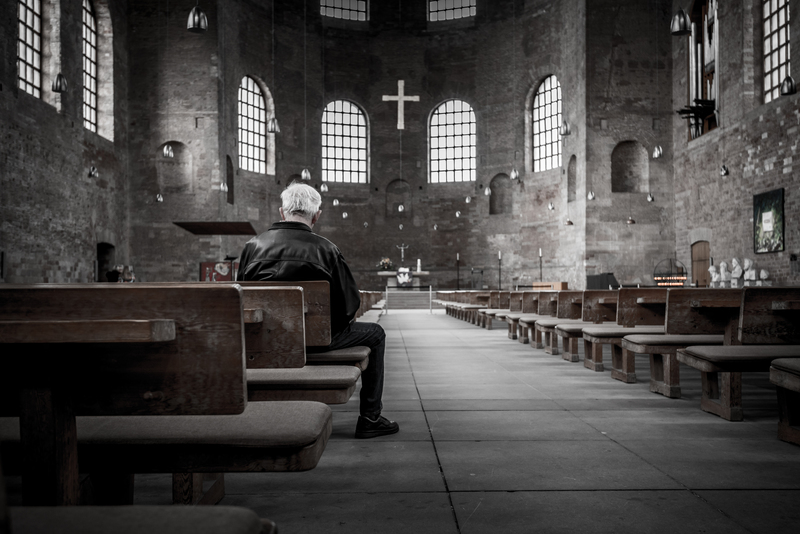 Many people who describe themselves as “not religious” say they’re still “spiritual,” though. Spiritual But Not Religious (SBNR) is a whole stream of faith today that includes a wide variety of individuals. (In fact, a recent Barna survey pointed out that the majority of SBNR consider their individuality and uniqueness to be important to their sense of spirituality. Ironically, the survey then went on to categorize them in a series of sub-groups.) The root theme of SBNR, though, seems to be their rejection of religion, sometimes referring to it as organized religion, which I think is kind of redundant, since religion is a lot about organizing. But I wonder if that’s just it: our terminology. I don’t really want to get into the SBNR debate, it’s too complicated an issue for here. But I wonder if we could simplify it a bit by considering what we mean by what we say, because I think many of us might be on the same page. Reminds me of a story. There’s a story in the bible about Paul speaking in Athens at the Areopagus, the Greek high court (Acts 17:22-31). He’s been in town a few days, waiting for others to join him, and he sees the many idols and the temples built for the many Greek gods. He’s also noticed that there is an altar set aside for “the unknown god.” So he acknowledges “how extremely religious” they are and tells them that in their unknown god – unknown to them – he sees the one God who created, and is in, all things, the God who “does not live in shrines built by human hands,” but in the world. This is where I’m not so religious. I don’t think Paul meant to be sarcastic, I think he truly meant to compliment the Athenians. But there must be more than just buildings and statues, real and metaphorical. Religion can’t be just about structure, unchanging and cast in stone. It can’t just be about process and organization. It can’t be about “sameness,” of culture, thought or idea. It can’t be contained. Where is the spirit in that? The spirit is alive. The spirit is energy and power, connectedness and relationship, life in all its fullness. Here’s the thing, though: when people say they’re not religious, I think they’re talking about just that, the process and the structure, which they perceive to be devoid of spirit because it doesn’t speak to them. But religion is at its most meaningful when it is full of both a spirit that enlivens and a framework that builds community, reinforcing our connectedness to each other and all of creation. And if we are open to the spirit in how we create community, then surely we can be open to how the spirit expresses itself in each of us and what we bring to that community. Perhaps some old structures need to be let go. Perhaps some new ones, too. Perhaps old and new shouldn’t be as important as appropriate. I said I didn’t want to get into the debate about spiritual but not religious, but maybe it’s time we all did. And maybe we could debate why we think those two things seem to be treated as if they’re exclusive of each other. How can they be?